Peter asked Jesus how many times should he forgive his brother. Peter thought maybe seven times might be a fair limit. But Jesus said“seventy times seven” (Matthew 18:21-22). Of course Jesus didn’t mean literally 490 times, but rather that the number of times are not to be counted. We all know how hard it is to forgive, especially when the scars run deep. 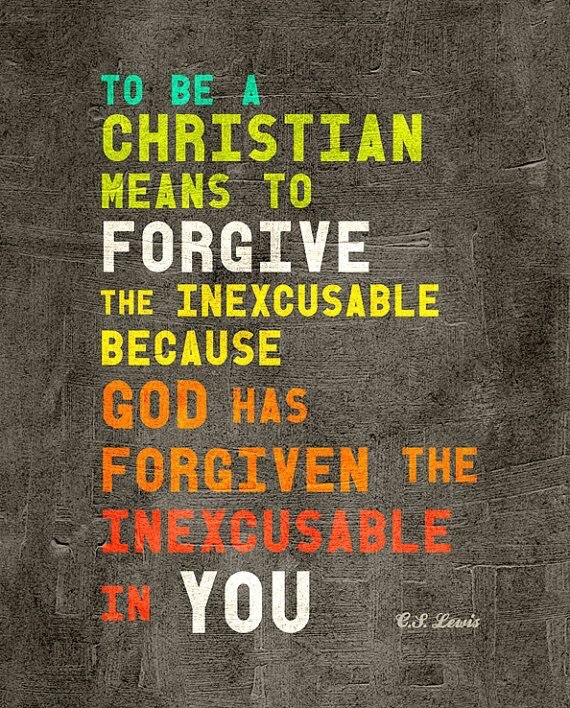 But that unforgiveness and unrepentance of your own sins, can really hold you back from receiving God’s grace. YOU CANNOT MAKE ANOTHER PERSON RECONCILE TO YOU Being angry is not a sin, it’s what you do that makes the difference. FORGIVENESS doesn’t mean reconciliation, reconciliation takes two people, but the injured party can forgive an offender without reconciliation. Lord please release me from all effects of emotional and spiritual hurts I have received and from the effects of my own reactions to them. Thank-you for your comments, I hope it can help you in life.